Know the rules of badminton, and learn how to play. Find out how to take score in badminton games. Read the interesting history of badminton’s origins. You’re not the most athletic person out there. You’re not the fastest runner. You have trouble in basketball and dodgeball. In gym class, your line dancing experience also didn’t go well. Even flag football gave you trouble. It’s because of you that most gym classes have long—up to three months long—units of badminton. 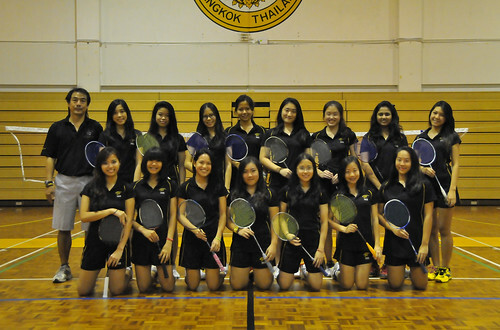 Badminton is one of the simplest coordination games you can play. You don’t need too much strength or speed to get it right. The birdie and racket game was made just for you. The birdie, unlike a tennis ball or Ping-Pong ball, floats—sort of. The cone-like winds on the larger have of the birdie slow it down as it soars through the air. You then have a greater chance of hitting the target or reaching it from a longer distance. The rackets are longer than tennis rackets, so you have a longer reach. All you need to do to hit the birdie is flick your wrist. The birdie will fly out and away. You will need to practice serving though. With a little time—unless you’re a natural—you’ll have that basic underhand serve down. Just dangle the birdie from your nonserving hand, and snap your racket up underneath it. Your birdie, if aimed well, will fly up and away. Since you don’t do too much running in badminton, especially doubles, you don’t have to work too hard. Just pay attention to where the birdie is and the in and out lines. And if you’re the person who isn’t athletic, you can fit in and perhaps excel in gym class. Thank goodness for cold winter months, right?